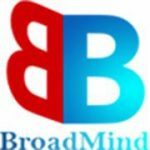 BroadMind is an exclusive study abroad consultant and overseas educational consultancy services based in Chennai and Madurai offers end-to-end career solutions for overseas education. We are an official representative of Foreign Universities and helping study abroad aspirants to study in UK, Singapore, USA, Australia, Canada, New Zealand, Switzerland, Germany, Malaysia, Dubai, France, etc. UT Southwestern Medical Center is distinctive for its overall quality and for the strength of its three core missions of education, research, and patient care.